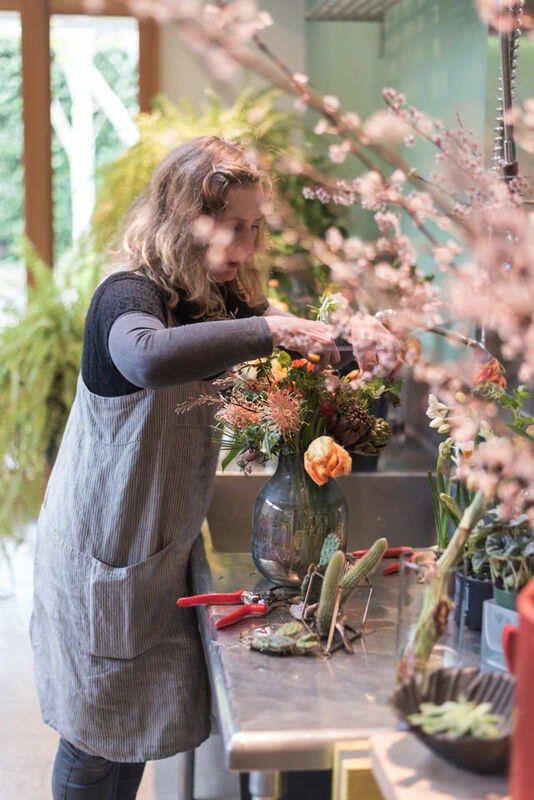 I recently had the pleasure of spending a bit of time visiting with TJ Montague of Garden Party Flowers in her floral studio. When I stopped by she was in the middle of creating an arrangement for an event at the Seattle Art Museum. The arrangement was rich, colorful and stunning! Nestled into a quiet and quaint street on Bainbridge Island is her inviting floral studio where she creates beautiful and distinctive floral arrangements for weddings and events in Seattle, and along the Olympic Peninsula, including one of her favorite and most popular venues (mine as well), the gorgeous Kiana Lodge. I was greeted by two enormous rustic yellow iron gates that swung open to reveal multilevel lush gardens that she and her husband created over the years. As meandered along the pathway that leads to her spacious studio I was immediately envious of how much light flooded in because of the skylights, and floor to ceiling windows. TJ’s studio breathes thoughtful and creative design. 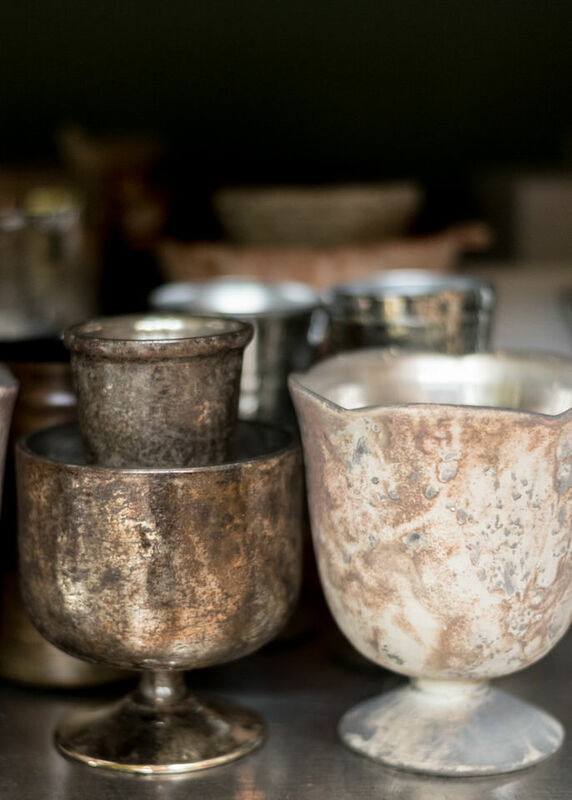 It is as much about form and function as it is about softness, sweet smells, and sounds. None of this is surprising because before TJ founded her floral business she worked at an architecture firm and was pursuing her Master's degree in architecture. Interestingly enough, TJ’s husband whom she affectionately calls her "renaissance man" is an Industrial Designer and inventor. The two built Garden Party Flowers Studio (which sits on the property with their home) bit by bit from salvaged materials they found around the state while exploring. This labor of love is the perfect expression of their talents — architecture, design and creative endeavors. I find myself thinking back so often on this meeting with TJ and trying to figure out of the many things we discussed what I enjoyed the most. I truly cannot decide. In a nutshell, this fellow artist is a vibrant, world traveling, cocktail-loving, Francophile, successful businesswoman who is every bit right-brained as she is left brained. Next month I am so excited to be photographing a wedding where the bride and groom commissioned Garden Party Flowers to create all their florals for their Meditteranean inspired wedding.